Due to new Health & Safety Executive’s (HSE) requirements, if you or your company do any kind of welding then you must ensure you’re in compliance with the new HSE requirements issued in February 2019. New scientific evidence has been published which shows mild steel welding fumes can cause cancer. So with immediate effect the HSE has strengthened their expectation for ‘all’ welding fumes. Air monitoring tests below exposure limits will no longer be adequate. 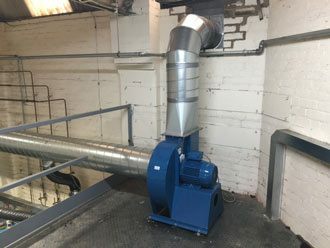 If you want to avoid a hefty fine or your operation being shut down by the HSE, you need a robust welding fume extraction system that can efficiently remove the toxic fumes from your workplace. At Trufab Limited we pride ourselves on our high standards & expectations, and with this in mind we have found in every area Extract-it exceed our expectations, they are most reliable courteous and will always go that extra mile to ensure their client’s needs are met. 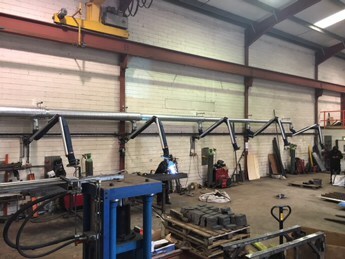 tried their utmost to ensure installation deadlines are been met and service to machines are carried out in a timely manner so it causes the least disruption to production. We have been dealing with Neil & Hayley at Extract-it since 2012 and have always found them to be very professional, honest and reliable in their approach to dealing with our Extraction Servicing, repair & new installations. We have absolutely no hesitation in recommending them to any future perspective clients. 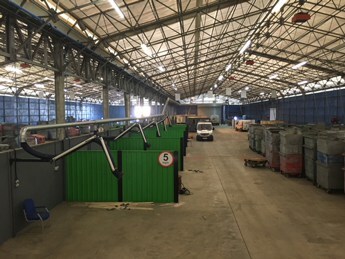 Les CottonManaging Director - Trafford Rubber Products Ltd. Contact us today and let us know your requirements. Don’t leave it until it’s too late.